Shooting is one of the most competitive Paralympic sports. Competitors fire a series of shots at stationary targets in pistol, air rifle and rifle events. Of the 12 Paralympic events, three are for men, three for women and six are mixed. Athletes in pistol events have impairments in their legs and/or their non-shooting arm. Athletes in rifle events have impairment in their legs only (SH1), or impairment in their arms that prevents them from supporting the full weight of the rifle (SH2). Shooting is a highly technical sport and the guns bear little similarity to guns used for hunting or weapons. The barrel is crucial and athletes try to source barrels that are true. Once a barrel is chosen, there are many hours of testing ammunition to find batches which are most compatible with the barrel to produce a predictable bullet path. Athletes shoot from distances of 10m, 25m and 50m. The standard target is a cardboard square with 10 concentric white and black rings around a black centre ring (or bull’s-eye). The level of the accuracy required is very high – in 10m air rifle events, the bulls-eye is only 0.05cm wide – as big as a full-stop. Yet by 2012, almost perfect scores had become common in Paralympic shooting. In some events, a score of 599 out of 600 would not be enough to make the final. Since 2013 the scoring rings are each further subdivided into a further 10 scoring zones to give decimal place scoring system, with 10.9 being the very centre of the target and the highest possible score per shot. 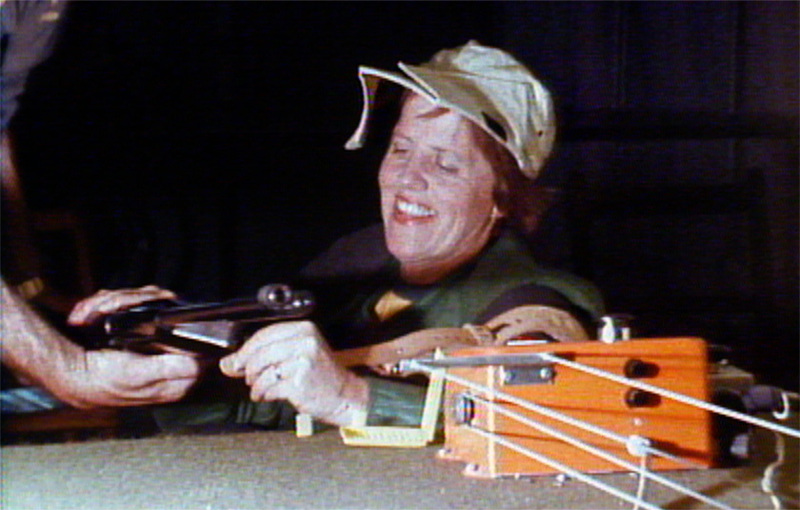 Libby Kosmala, who competed at her twelfth Paralympic Games in 2016, is Australia’s most successful shooter. The world record she set to win gold in the standing air rifle event in 1984 in a field of 8, would have placed her fifteenth at the 2008 Games in a field of 18. However, by 2008, Kosmala had improved her score so much that she was second after the preliminary rounds, 8 points higher than her 1984 score. You allowed a cameraman where?